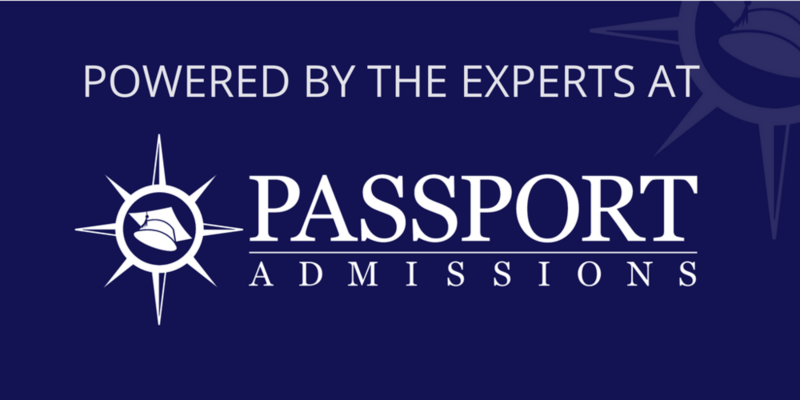 In our brand new series, the experts at Passport Admissions will be analyzing a student’s application, including both the applicant’s chances of getting accepted into medical school and which aspects of his or her story to highlight. We’ll also give strategies that we recommend to leverage the applicant’s personal strengths and experiences. The result is very similar to the analysis that we do for our one-on-one students at Passport. We hope that it’s interesting to read and that you can take some of the strategies that work for others to apply to your own application. Would you like to get our take on your application? While we can’t promise we can get to everyone’s application, you are welcome to submit your profile. Juliana has an inspiring journey toward medicine, starting in childhood with a drug-addicted father who sold heroin, which motivated Juliana and her mother to flee to a county shelter. As a teenager, she witnessed her step-father’s murder by a gang member. These experiences, combined with Juliana being a first-generation college student, led to lower academic performance early in college. But despite these challenges, Juliana played college sports and developed a strong interest in research and community service. She is currently taking non-degree courses at the Johns Hopkins School of Medicine, while remaining involved in laboratory research and outreach to underserved communities. Your personal and family background, which sets you apart from others and shows your understanding and empathy for the communities you hope to serve as a physician. The skills you have learned/accomplishments you have made through research. Your passion for community service and underserved medicine. An explanation as to why you did not perform well in some classes. The reasons that you are ready to handle the academic rigor of medical school. Strategy 1 - Communicate to the admissions committee that your grades are not representative of your ability to succeed in medical school, specifically mentioning in your personal statement the reasons you did not perform well in undergrad. According to this AAMC grid for applicants and acceptees from previous application cycles, the acceptance rate percentage for the applicant’s GPA, MCAT score, and race/ethnicity is 42.1%. The overall undergraduate GPA of 2.95 may raise a red flag because it is under the 3.0 threshold, and is lower than your science GPA. However, the 515 MCAT score is strong, and there is a good narrative for the extenuating circumstances in your life that would explain your low GPA. Go one step further and communicate to the admissions committee that your grades are not representative of your ability to succeed in medical school; explain your motivation to take additional courses at Johns Hopkins, and consider retaking any of the courses that you did not perform well in during undergrad so you can show your initiative in addressing a weakness of your application. Your intellectual capacity can also be demonstrated through other experiences; elaborate on how you have developed strong critical thinking skills through your extensive research experience. Strategy 2 - Apply broadly, including medical schools with focuses on research and underserved medicine. You should apply broadly, which means applying to at least 25 or more medical schools. With a strong research background, as well as strong experiences in community service, you should apply to medical schools that have focuses on research and/or underserved medicine. Strategy 3 - Connect your desire to be a physician with your commitment to reducing violence by showing an interaction you have had with a specific patient. One of the most important questions that you need to answer is, “Why medicine?” You mention that you want to reduce violence through public welfare programs, and your personal/familial experiences with disparities and inequalities are compelling. But the admissions committees may be left wondering why you chose medicine as a future career rather than becoming involved in a field such as public policy or social work. How can being a physician alleviate the structural problems in society that you have faced personally? One way to go about answering this question would be to provide a specific anecdote about a patient interaction that you’ve had. For example, have you interacted with patients through being a Charm City clinic manager (or through shadowing) and made a meaningful impact on them? You have many clinical experiences, but you need to highlight more detailed stories that will clearly connect the dots between the challenging circumstances you faced and how you will be able to empathize with patients from diverse backgrounds. Strategy 4 - Start your personal statement with a compelling story that forces the reader to pay attention. You can also weave in your other experiences to tell a better story that grasps the reader’s attention. For example, was researching the neurobiological effects of addiction at the Scripps Research Institute a way for you to more deeply understand your father’s heroin addiction? Relate your experiences to the characteristics you possess that will allow you to succeed in medical school, and ultimately, as a physician. For example, as a college athlete you learned skills such as time management and teamwork--both highly relevant in the medical field. Medical schools want diverse students who have overcome different forms of adversity. Stick to the facts about the hardships you have faced in order to show medical schools your persistence, dedication, and maturity. Explain how the hardships have led you to pursue medicine by showcasing specific, detailed stories about your clinical experiences, and you will be able to brilliantly convey the story of your passion for medicine. Newer PostHighly Recommended: Take the Quiz: Where Do You Stand on Healthcare Issues?